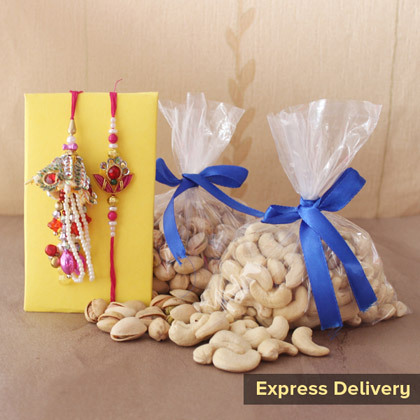 You need a thoughtful token of love to make Raksha Bandhan, a special and memorable day for all your brothers. 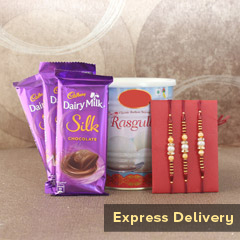 So, here we are with this wonderful Rakhi gift hamper. 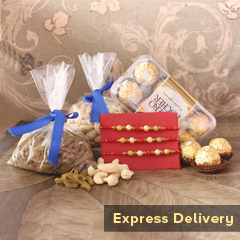 It is full of yummy and healthy delights for them to share together, enjoy silly fights for it and enjoy the gift hamper together. 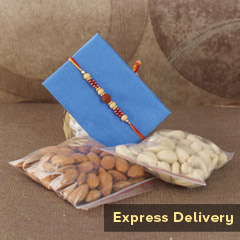 Also, the beautiful Rakhis for 3 brothers and one Kids Rakhi for little brother will be loved by all. So, hurry to place it’s order right here!